Are You Making These 5 Retirement Planning Mistakes? By Jason Topp 11 Comments - The content of this website often contains affiliate links and I may be compensated if you buy through those links (at no cost to you!). Learn more about how we make money. Last edited November 1, 2013 . Retirement is certainly a hot topic. Most people are concerned about how much they need for retirement, when they can retire, which discount broker to use or whether they should open up a Roth IRA or contribute to Traditional IRAs. What's amazing, however, is that although there are many folks preparing for retirement, there are still a large number making some pretty big retirement mistakes. Dipping Into Your Retirement Savings Early! Ok, so this is no breakthrough – I’m not pretending to discover a cure for diabetes here, but this point needs to be stressed over and over again. Certainly there are times when you just can't help tapping into your 401k or IRAs – people come into rough times – I get that. But aside from those exceptions, it is absolutely ludicrous to borrow from your 401k to buy furniture for your house or whatever other reason you come up with! This is your retirement savings – it needs to be left alone! Here's what I mean – years ago, you could work for your company for 30 years, retire with a nice pension and collect social security and be pretty set. Notice who was giving you money – your company and the government. Well guess what, things have changed. Companies are dumping their pensions, Social Security will need a massive overhaul to avoid going defunct – so what does that mean for you? Retirement is up to you to make it happen. I like to call this – creating a retirement tax-time bomb for yourself! 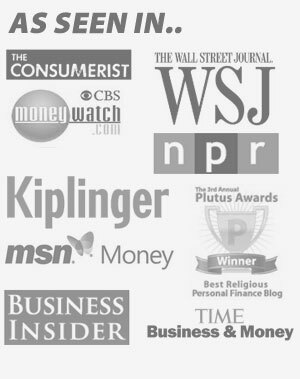 Here's what typically happens – folks do a great job of saving money into their 401ks. After all, it's easy, maybe the company matches you and so you just continue to funnel more and more away every year. Until one day you wake up in retirement and realize that your entire nest egg (or at least a large portion of it) is in a tax-deferred, tax-when-received position and you'll have to pay Uncle Sam a nice chunk of change every year. You need to diversify yourself. 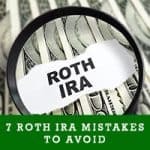 Use tax-free accounts like Roth IRAs – use taxable accounts – position yourself outside of just IRAs and 401ks. 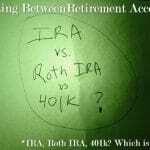 You may need to do a Roth IRA conversion if you don't qualify for regular contributions. Just make sure you run the numbers and figure out what makes sense for your tax situation. Here's three reasons why you shouldn't fall in love with your 401k! You've certainly heard that before right? Is retirement just a grand dream that has no plan of action around it? This is true in all segments of life, but especially for retirement – those who have a plan, review it regularly – making changes as needed – are more likely to reach their goals than those who don't! Figure out what you’d like to accomplish. Think about things like when you'd like to retire, what you’d like to do, how much money you’ll need and then compare where you’re at with where you’d like to be. Plan a course of action to help get you there. Although many companies have foregone their 401k matching programs, there are still some who offer some sort of match. A big mistake often made is not knowing what kind of match the company is offering resulting in leaving free money on the table. This seems so obvious, but there are still some out there who for whatever reason don't put enough in to take advantage of the match! At the very least you should be putting enough into your 401k to take full advantage of any money they are going to give you. Reaching retirement is up to you, so make sure you are doing all you can to correct mistakes early so you can reach your goals. What other mistakes would you put in this list? What mistakes have you made, or seen other people make? Tell us in the comments! When planning for retirement, we must be careful not to commit these 3 common retirement planning mistakes. I’ve seen people cash out their 401k after leaving a job rather than rolling it over, or consider taking a loan from it for what I feel is an unnecessary purchase. This breaks my heart because retirement funds should be used in retirement. In the cases above, they weren’t serving their purpose. I also wonder why people who get an employer match on their 401k don’t take the offer. Not all companies offer this, including mine, so I’d feel grateful if I had this opportunity and immediately take advantage of it. However, in regards to not taking advantage of the employer match, there are legitimate reasons for not doing so. I believe “Thinking That Retirement Will Just Work Itself Out” is a big one. Young people don’t want to think about retirement and being old so they don’t do anything about it. Seems like the definition of retirement and “living the dream” is changing. Scary from a financial planning point of view. Really good point about Not Diversifying Yourself From a Tax Standpoint. I’m not certain many people fully appreciate the meaning of tax deferred. That’s deferred as in you’ll get a pass now, but you’ll have to pay later when you withdraw. It’s best to have a Plan B for that too! It hurts me to see so many people who borrow from their 401k or take a distribution when leaving a job. It also bothers me when people withdraw part or all of their “retirement” savings to pay for a home or education. They don’t seem to grasp the power of compounding and time in the market. Also, like you said, not setting goals is a huge mistake because without goals it is very easy to make the other mistakes listed above. Many people only have a retirement account because they heard it was a good idea – but nothing more than that. Your last point is a No-Brainer (at least I THOUGHT so)….they are literally giving away free money every time they don’t contribute! It’s mind boggling!! I think the biggest and most basic mistake people make is thinking that it will take care ofi tself. Maybe this was true fifty years ago,but not anymore. It is something that needs your attention. This post should serve as a good wake up call for people. I always find it ironic that MOST investment advice comes from people who have not retired, are not near retirement and act as if they have all the answers for those trying to figure out which land mine is safe to step on. Get over yourselves, if at all possible. Nest eggs of well meaning savers have been crushed by unscrupulous market manipulators, the government lays in the bushes for public service retirees who will lose 2/3rds of their Social Security, banks get bailed out while middle America pays the bill; over and over again. Why not take on some Hard Ball topics like why the Windfall Elimination Provision and Government Pension Offset exists. You’re right, that would take too much thought, preparation and research. I think the worst mistake people make is assuming they can never retire (it’s impossible to save that much) and will always work, so they don’t even try to save anything. Even if they love their jobs, there’s no guarantee that their job, their career, their industry, or their health will last for the rest of their lives. Similarly, people assume they will always have the option to work. Another mistake is not having enough interests. 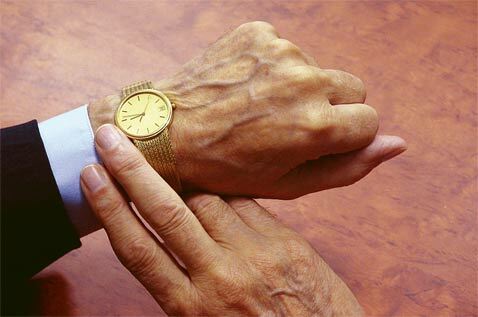 If all your time and effort is spent on your career and maybe one hobby, and you give up or lose your career, you are going to have a lot of adjusting to do. Disclaimer: I still have 4.5 years before retiring. Great comments everyone!! I appreciate it. Reisch, sounds like a guest post waiting to happen! I watch people cash out there 401k all the time. I think Diversifying is the best way maybe some 401k-stocks-realestate-cash and you can be set for a raining day. Previous Post: Buying A Home? Consider The Costs Of Home Ownership First! Next Post: Should I Pay Off My Home Mortgage Early Or Invest?